When I’m thinking about a look and feel of a wedding, I often get inspiration from a specific part of the Wedding and then work from that. For example, the other day on Facebook, Say I Do! LGBT Wedding Expo, posted this beautiful Wedding Cake (below). 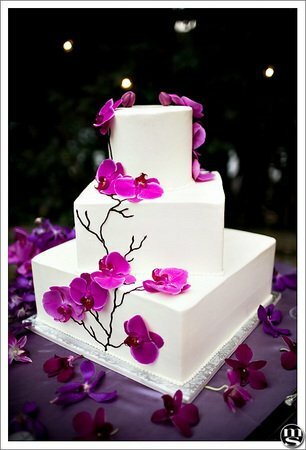 I love the simple white tiers paired with the vibrant and dramatic magenta Phalaenopsis orchids. This Wedding Cake could really work anytime of the year, but I wanted to do an Inspiration board for a destination/beach wedding. This has been on my mind, ever since my sister-in-law started planning her St. Thomas destination Wedding (for this coming Winter)! 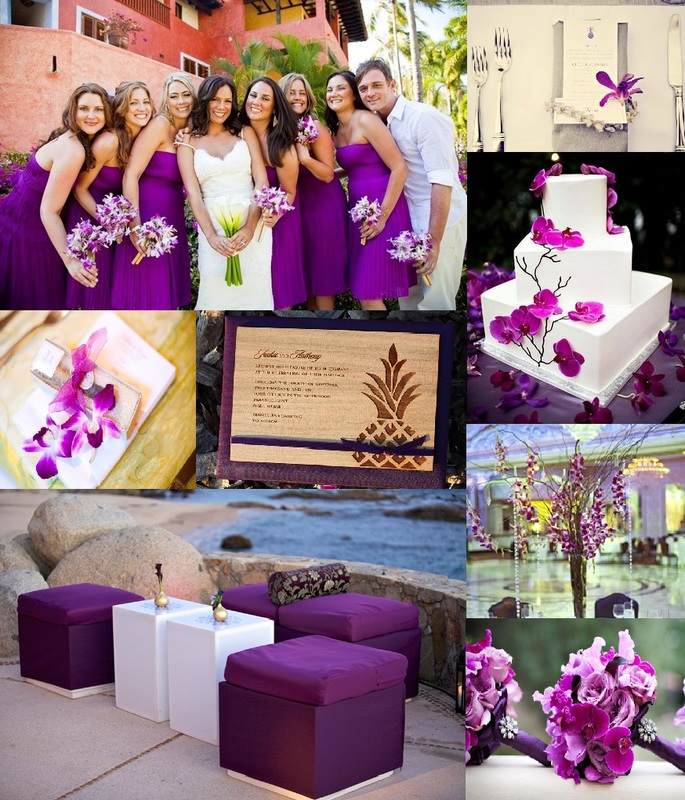 I paired magenta with white, purple, gray and gold, and included the pineapple illustration, which works so well for a destination wedding. The pineapple is a longtime symbol of hospitality, and really adds a charming quality to the paper products shown below.